Bluebonnets, honky tonks and Luckenbach, what more Texas content do you need especially when your record is titled SOUTH TEXAS SUITE. This may be a romanticised view of the Lone Star state and one immortalised in song, but when mixed with the heady sounds of regional country music, the effect ripples far and wide. 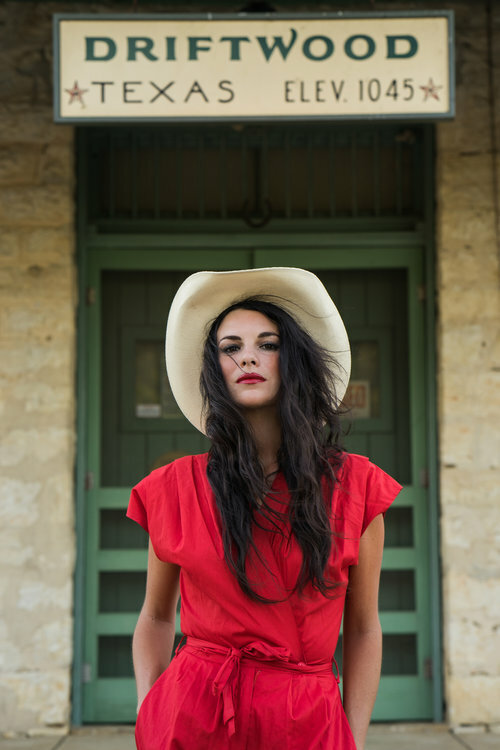 On the topic of distant association, the architect on this wonderful six track compilation hails from Canada, but to be fair to Whitney Rose she has immersed herself into Texas culture with extended stays. On this follow up outing to 2015’s acclaimed album HEARTBREAKER OF THE YEAR, Whitney has taken the solo route and slimmed down the format. This is the solitary drawback as frustration boils at the shortness of the record, which to be fair, and for whatever the reason, has only surfaced in the EP format. However let’s look at the positives and reflect on the cracking offering during this twenty minute listen. Straight from the tapes, Whitney takes you into the wonderful world of the honky tonks and the clever observation of how a quick two step spin around the floor can evolve into a ‘Three Minute Love Affair’. A fair dose of accordion giving it a ‘south of the border’ feel flavours this delightful opening track and the metaphorical temptation to take to the floor donned in appropriate attire is tough to resist. Whitney herself has secured a residency at Austin’s revered Continental and from a personal perspective all roads after listening to this first song drift back to spending a night in the Broken Spoke in 2007. Next up on the rank is the sassy throwback number ‘Analog’ packed full of irony mixed with a little desire. At this point Whitney’s vocals adopt a hazy drooling effect and it is not too difficult to detect a similarity with another Canadian who headed south to find the country music truth, namely Lindi Ortega. Boots is another mutual theme between Lindi and Whitney and track number three on this record is an unequivocal country drenched effort aptly titled ‘My Boots’ which explodes in the final stages when the presence of fiddle and steel is ramped up. Namedropping is going to be on the agenda when this record hits the market and similarities to Margo Price should be viewed as a high compliment. Now Whitney is no stranger to throwing in some classic retro pop into her country mixer and delightfully sang a duet of the iconic ‘Be My Baby’ with Raul Malo on her previous album. On the new record this style is magnificently re-hashed in the airy and ethereal dripping ‘Bluebonnets for My Baby’. This evolves into an exhibition of how to mix the genres and produce a golden gem of a track, laced with compelling simplicity and oodles of nostalgic sentiment. Staying on the theme of nostalgia, ‘Lookin’ Back on Luckenbach’ delivers a powerful punch and guarantees a singalong through its infectious chorus. As you would expect, pedal steel is prominent including a sizable solo segment along with the ubiquitous fiddle. At this point there is a further confession that track number six is a short instrumental titled ‘How ‘Bout out a Hand for the Band’, but it works well as a closing piece and no way diminishes the five preceding songs which are all corkers. Alongside the high class value of what is on offer, there is a hope that this is just an interim release and a full length follow up to HEARTBREAKER OF THE YEAR, with matching quality, is just around the corner. 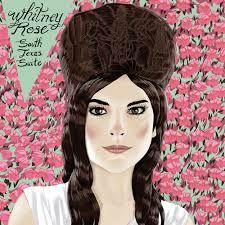 The final good news is that Whitney Rose has a few England dates scheduled for May and while being far from comprehensive at least the choice of Newcastle, Sheffield, Nottingham and London covers the spine of the country. The fruits of SOUTH TEXAS SUITE and other offerings from the first album are sure to be on the table at these dates and acquainting yourself with the music of Whitney Rose, if you haven’t already, is highly recommended.